Of the 3,000 tons of trash generated annually by UMass faculty staff and students about 1,900 is collected by OWM staff - employing two 18 cubic yard trash trucks each holding 5-6 tons of material. The rest – or about 1,100 tons per year - is collected in 10 stationary trash compactors located across the campus at high waste generation buildings. This category of trash is shipped direct to disposal facilities under contract with UMass. The former category – collected by OWM staff – is consolidated and compacted at the campus Waste Recovery and Transfer Facility (WRTF) at 151 Tillson Farm Rd. 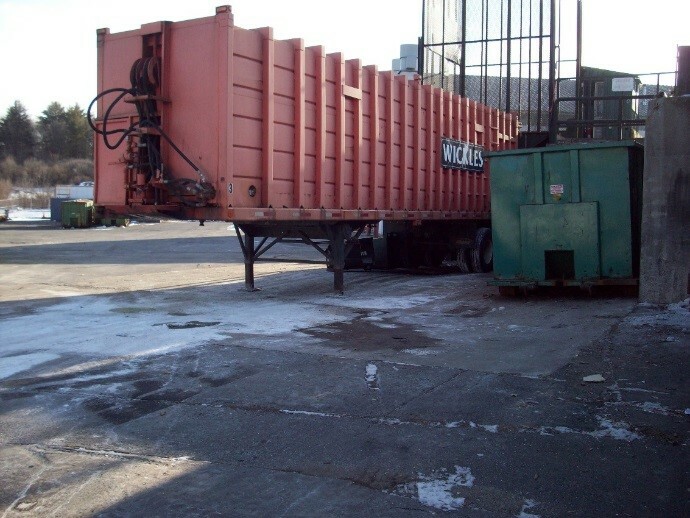 – for transport in 22 ton trailer loads to the disposal facility. For how to prepare and recycle many of the above materials, see Beyond Bottles, Cans and Paper.